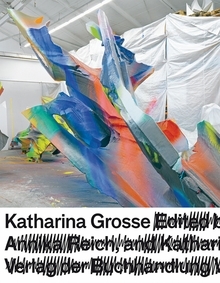 Edited by Katharina Grosse, Ulrich Loock, Annika Reich. Text by Ulrich Loock. Edited by Martin Hentschel. Text by Luca Massimo Barbero, Ulrich Loock. Text by Ulrich Loock. Introduction by João Fernandes. Text by Mark Coetzee, Meghan Dailey, Ulrich Loock. Edited by Iwona Blazwick. Foreword by Kasper Koenig. Text by Yves-Alain Bois, Ulrich Loock. Essays by Matthias Frehner, Joachim Jäger, Ulrich Loock, Peter Schneemann, Reinhard Spieler and Samuel Vitali. 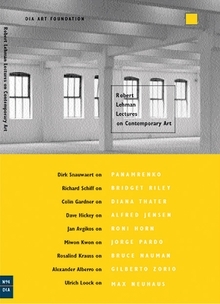 Essays by Ulrich Loock, Carina Plath and Beatrix Ruf. Artwork by Herbert Brandl, Peter Weibel. Edited by Gunther Holler-Schuster, Hans Ulrich Obrist. 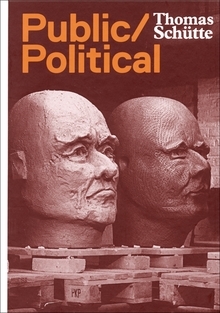 Text by Denys Zacharopoulos, Ulrich Loock. This book examines the vibrant, abstract paintings and large-scale installations of German artist Katharina Grosse (born 1961). Grosse paints on the floor, walls and facades of the exhibition sites, and often introduces unexpected objects like beds or balloons, merging painting, sculpture and architecture. Hardcover, 9.5 x 12 in. / 328 pgs / 250 color. From early architectural models and theatrical constructions to houses and utilitarian design, the sculpture of Thomas Schütte (born 1954) has pursued all categories of the medium; his website organizes his oeuvre into Houses, Bunkers, Monuments, Animals, Spirits, Jokes, Fruits and Vegetables, Women, Men, Flowers and Vases. This book spans 30 years of his practice. Hardcover, 6.75 x 9.5 in. / 220 pgs / illustrated throughout. 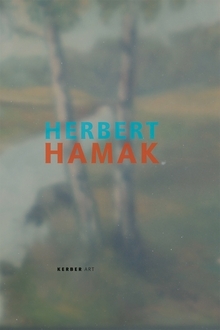 Herbert Hamak (born 1952) has evolved a somewhat alchemical approach to painting: he mixes pigments with a binding agent of artificial resin and wax. Before the substance solidifies, he emerges his stretched canvas into a mold, while the image remains invisible. This publication presents Hamak's latest series developed specifically for Mies van der Rohe's Museum Haus Lange. 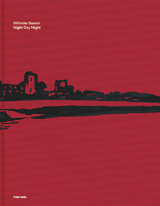 Hardcover, 6.75 x 9.75 in. / 110 pgs / 67 color. 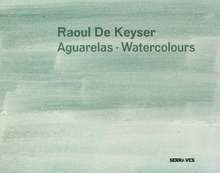 Raoul De Keyser's watercolors are a lesser known aspect of his output. Sharing the formal concerns of his paintings, and likewise triggered by specific observations and circumstances, they also offer a readier forum for experimentation than the paintings. This publication presents 59 of De Keyser's watercolors, made between 2000 and 2008. Hardcover, 12.5 x 10 in. / 80 pgs / 61 color. Retrospektive covers more than three decades of Berlin-based Isa Genzken's career, with over 150 images, some of which are published here for the first time. 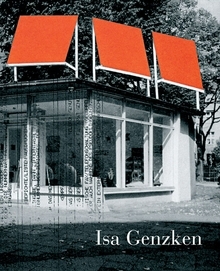 Although she works in a variety of media, Genzken is best known for her architectural sculptures made from colorful materials, including mirrored sheets, fluorescent plastic and glass. A catalogue for Open, Sesame!, Genzken's retrospective exhibition at Cologne's Museum Ludwig and London's Whitechapel Gallery, this volume offers the most definitive look yet at an influential and notoriously reclusive artist. Featured are essays by renowned critic Yves-Alain Bois, curators Ulrich Loocks, Donna De Salvo and Ian White, an interview with Museum Ludwig Director Kasper König and contributions from artists Dan Graham, Wolfgang Tillmans and Lawrence Weiner. Hardcover, 9.25 x 11.25 in. / 248 pgs / 202 color. The work of German artist Eberhard Havekost critiques the proverbial dialogue between painting and photography by establishing a visual language that hovers in the grey space between the two. What is at once apparent in the juxtaposition of these two seemingly disparate media in Havekost's hands is their mutual dependence--despite their differences. Working from personal photographs and found images, Havekost presents iconography that is familiar to all urban and suburban dwellers: bland Modernist structures, featureless landscapes and images of actual and impending violence. 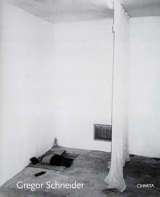 The significance of his work lies not in its subject matter, however, but in its execution. His creations are original works, made by hand, but by digital processes too. 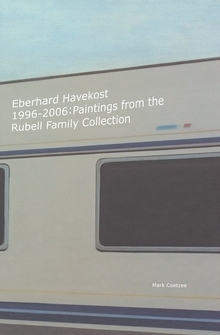 Published on the occasion of Havekost's first museum showing in the United States. Hardback, 7 x 9.5 in. / 154 pgs / 72 color / 25 bw. Retrospective, the most comprehensive monograph to date on the work of Franz Gertsch, celebrates the painter's 75th birthday. Since Harald Szeemann's legendary Documenta 5 in 1972, Gertsch has been one of the most significant photorealist or hyperrealist painters in the world. As a participant in three Venice Biennales, most recently in 2003, and the subject of solo shows at institutions including The Museum of Modern Art, New York, Gertsch has received some of the highest honors the art world has to offer. In 2002 the Museum Franz Gertsch opened in Burgdorf, near Bern, Switzerland: it is dedicated to his work--a rare honor for any living artist--and features a wide variety of it. Retrospective collects Gertsch's most important large-format paintings and monumental woodcuts, along with a broad selection of gouaches and watercolors from the late 1960s to the present, and includes a catalogue raisonnª of the paintings. Hardcover, 11 x 12.25 in. / 288 pgs / 182 color / 22 bw. The art of young polish painter Wilhelm Sasnal offers an entirely new and unfamiliar perspective on the meaning of images of day-to-day reality. In them, Sasnal's own existential fears and concerns about Polish society mix with sources such as Rodchenko, Art Spiegelmann's comic MAUs, and concert photographs of Sonic Youth. One of the most important, though largely unknown, exponents of the new painting, Herbert Brandl helped take art in a new direction in the 1980s, not least in response to a concept-based medium that had become academic. 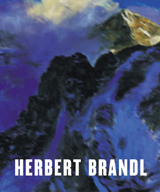 This volume documents Brandl's artistic development to date, revealing the strong analytic components of his work, and his ability to "depict depicting." Paperback, 10 x 11.75 in. / 416 pgs / 402 color. Edited by Steven Jacobs. Essays by Bart Cassiman, Dirk De Vos, Roland Jooris, Ulrich Loock, Hans Rudolf Reust, Gregory Salzman, Roberta Smith, Wim Van Mulders. Raoul De Keyser's mainly abstract art is remarkable for its dimensional realism--that is, its connection of the subjective and objective dimensions of experience. De Keyser personalizes abstraction, he gives it a human face; many of his pictures include motifs drawn from his immediate surroundings or his own personal experience. Instead of searching for an overarching formal principle--as did the pioneers of abstraction from Kandinsky's time through the 1960s--De Keyser attunes his art to the significance of improvisation and chance in all life, and contemporary life in particular. Thus we find in the art of Raoul De Keyser much of the contingency, inconsistency, textual precariousness, modal variety, particularity, unpredictability, disorder and flux that we find in our daily lives. This catalogue, published on the occasion of a touring exhibition of De Keyser's work, documents in sumptuous reproductions the artist's oeuvre over the past twenty years.